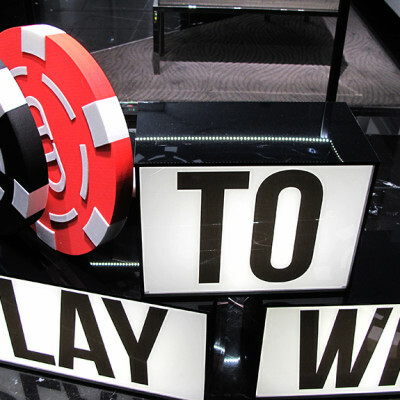 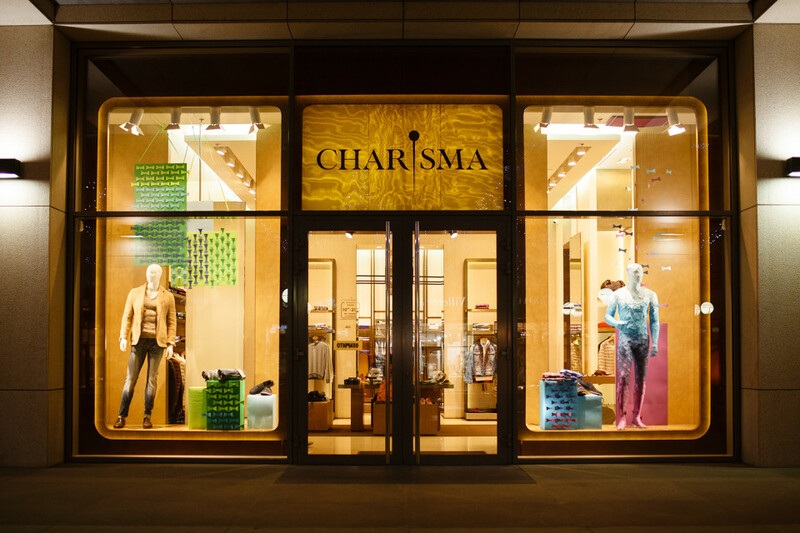 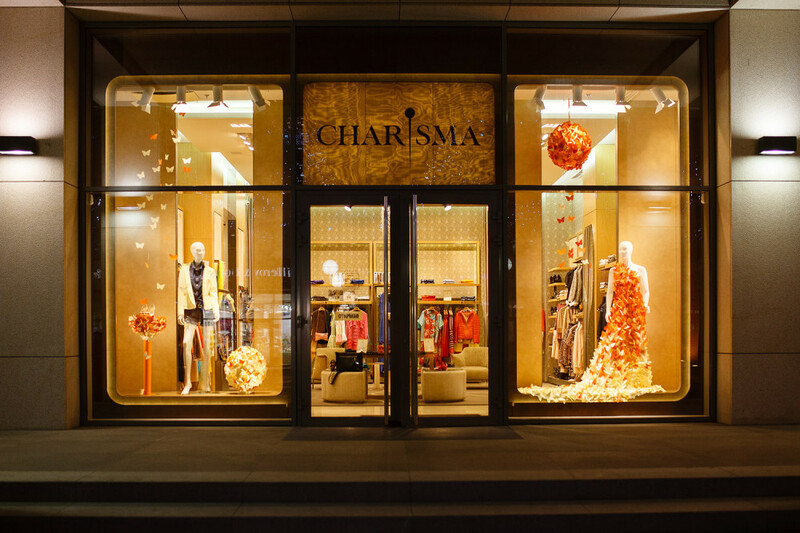 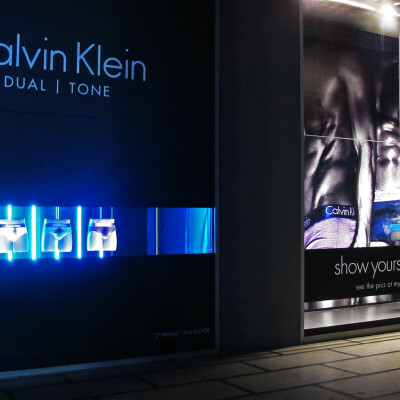 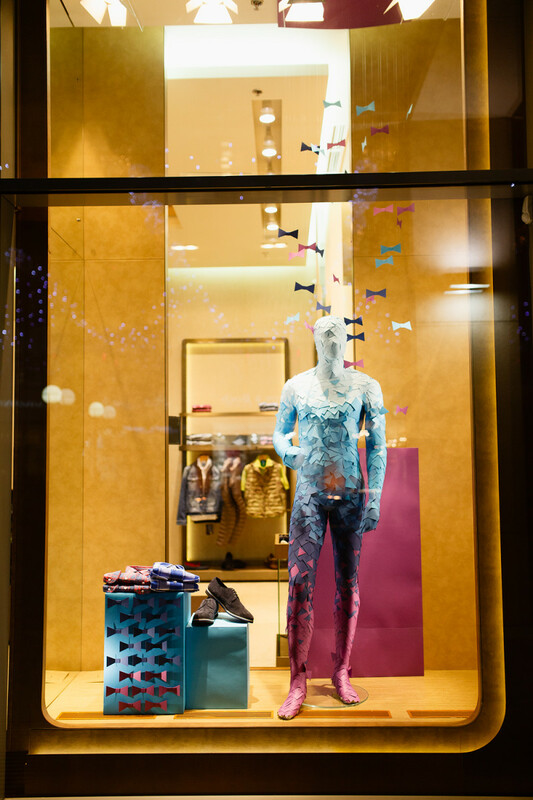 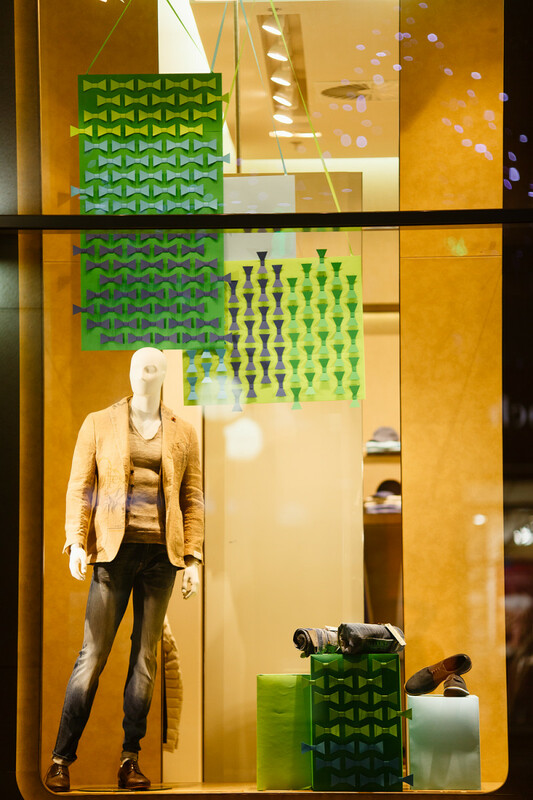 Ukrainian ARTLEVEL design studio created 4 Spring window displays for the CHARISMA FG store, two windows for the men collection and the other two for the women collection. 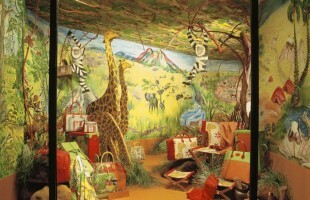 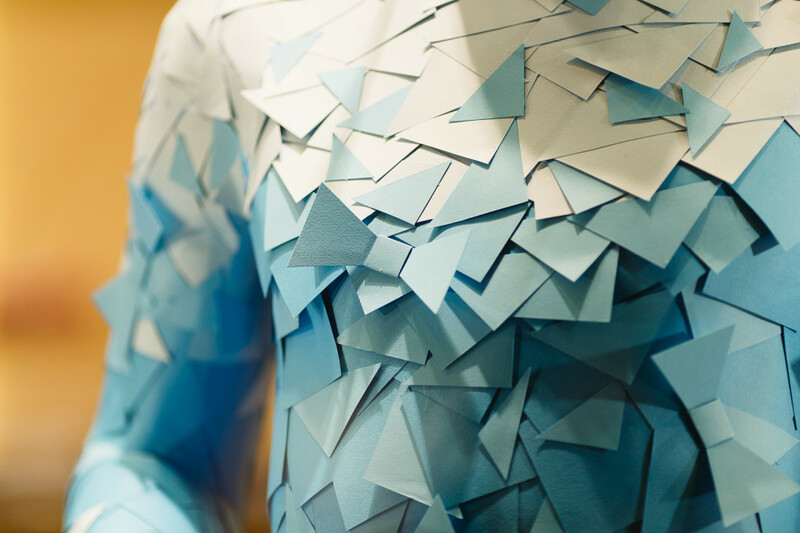 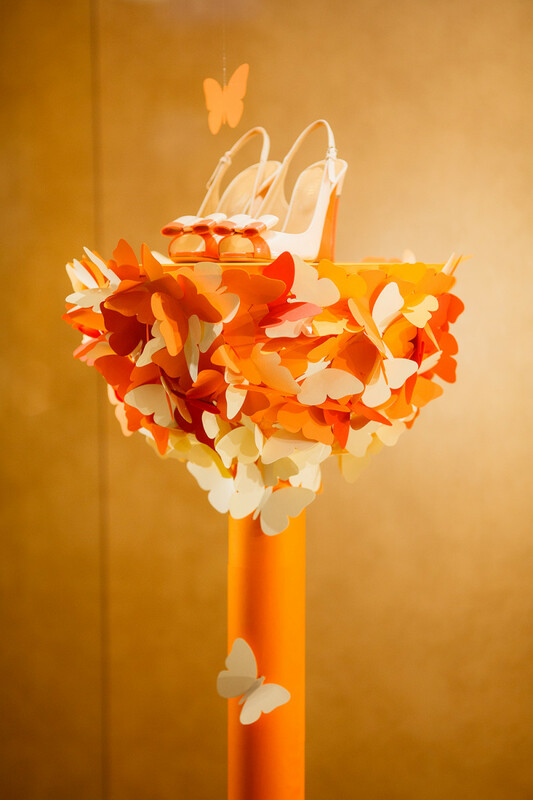 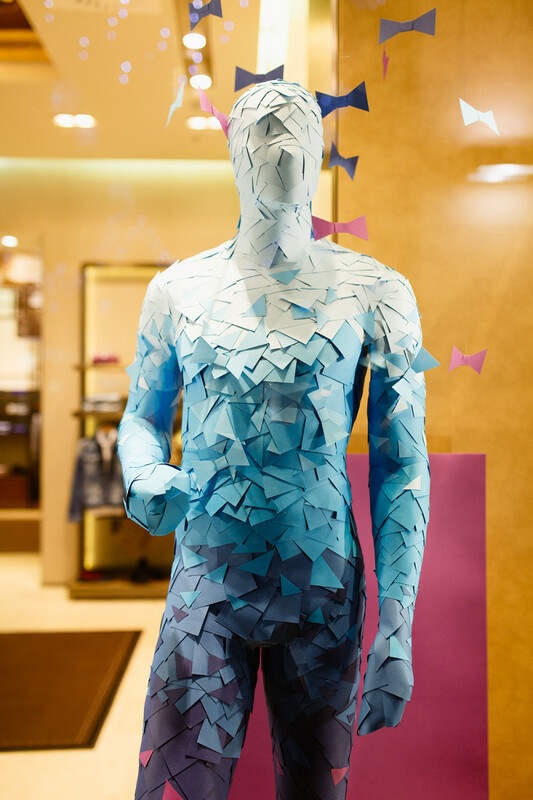 The colors are inspired by the spring collection, using materials like paper, cardboard and textile. 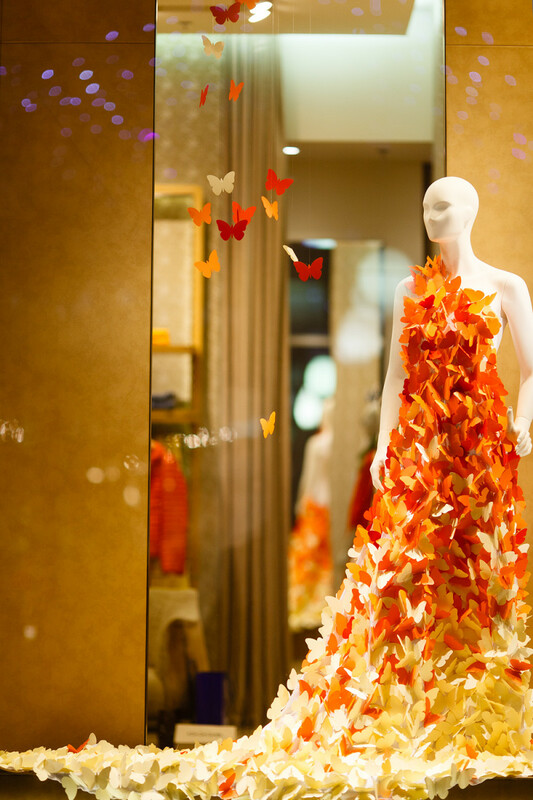 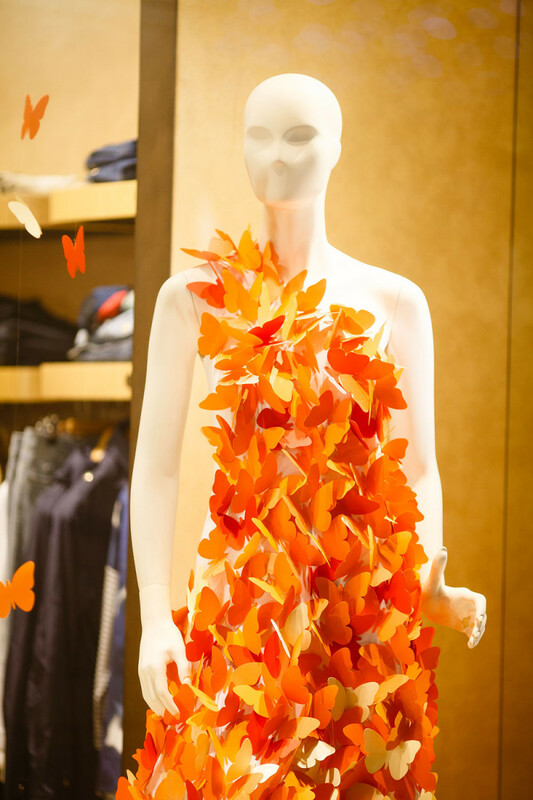 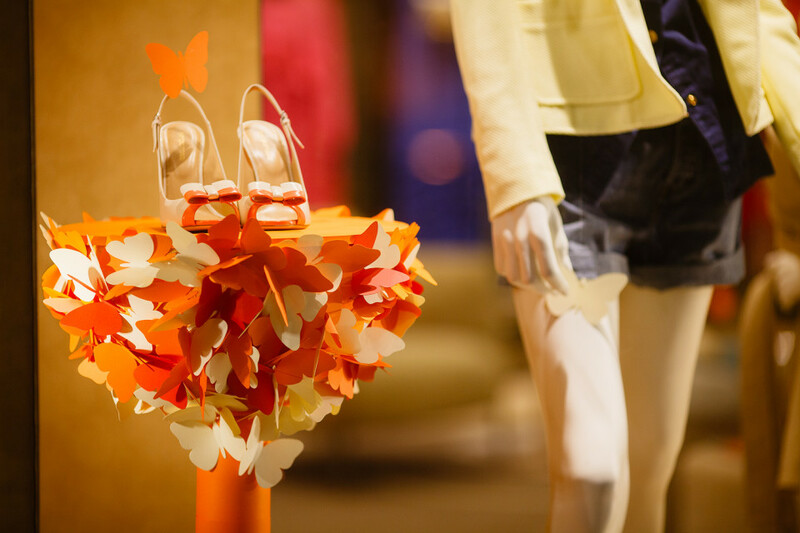 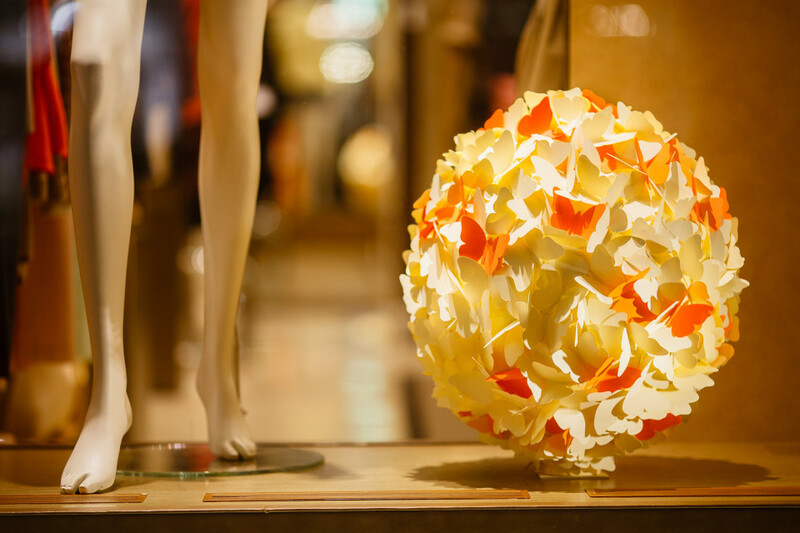 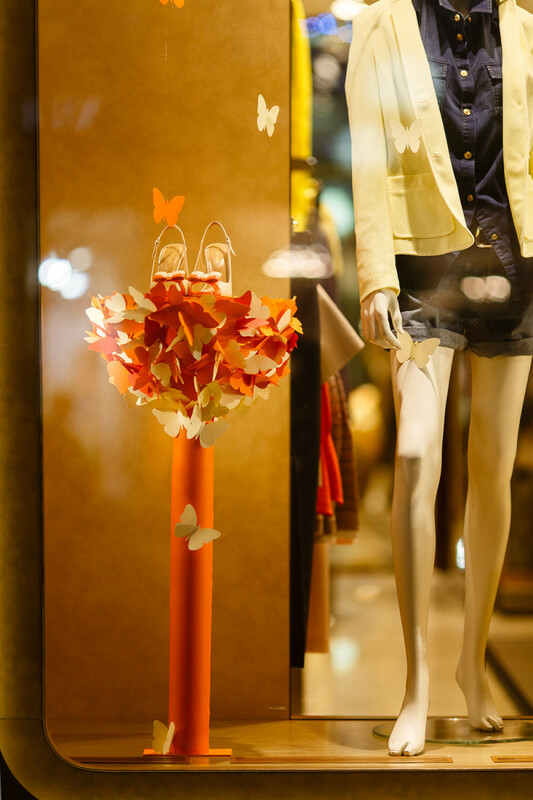 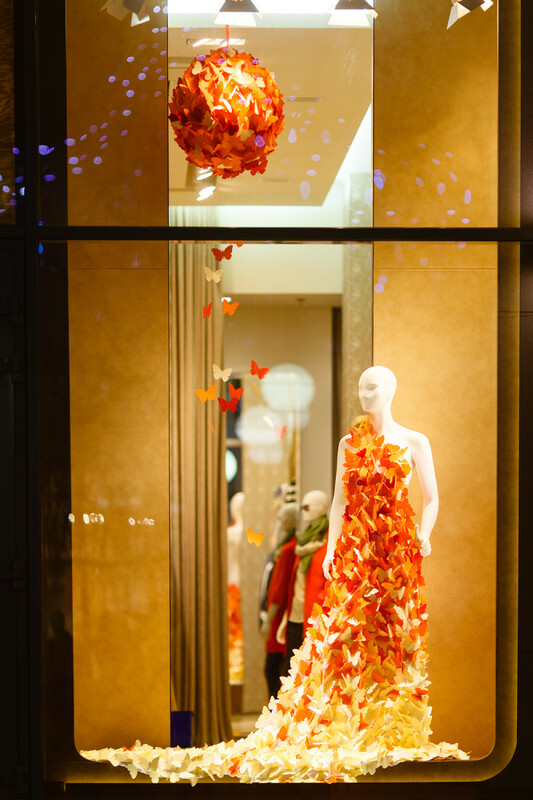 The women spring window displays has the butterfly as base element, where ARTLEVEL design studio wanted to show the butterfly fly from one element to another one. 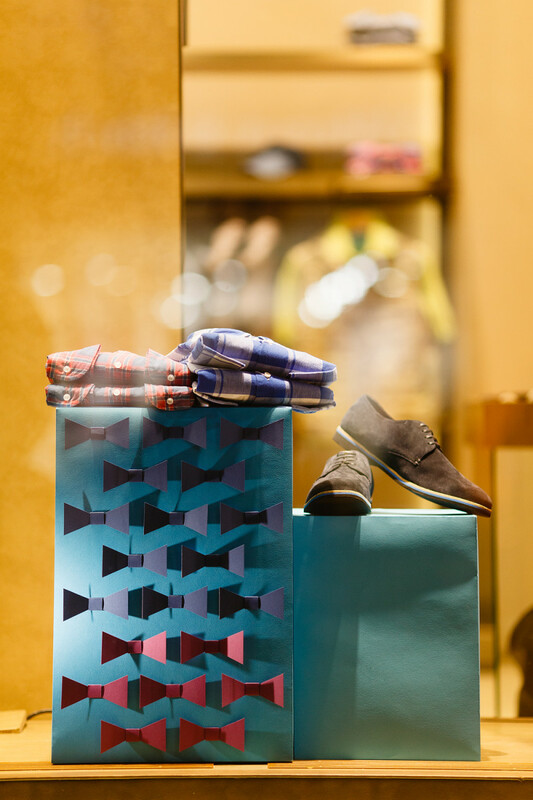 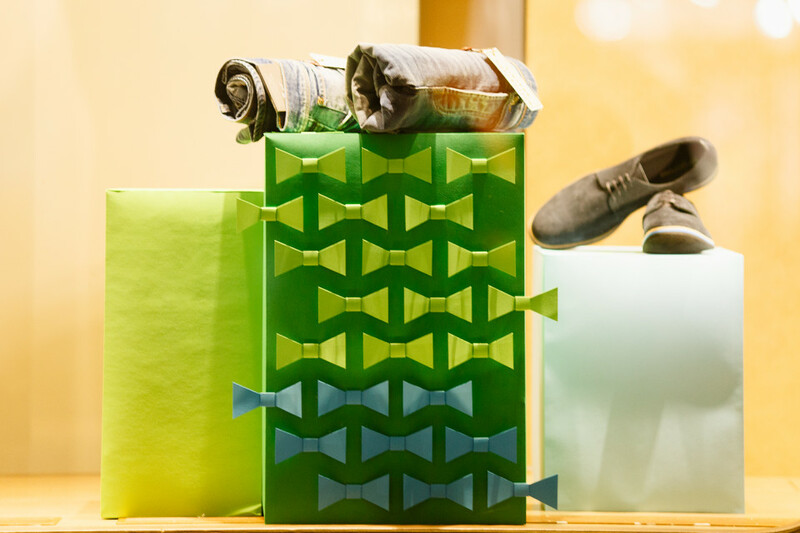 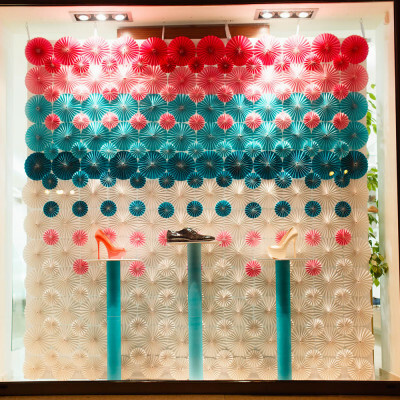 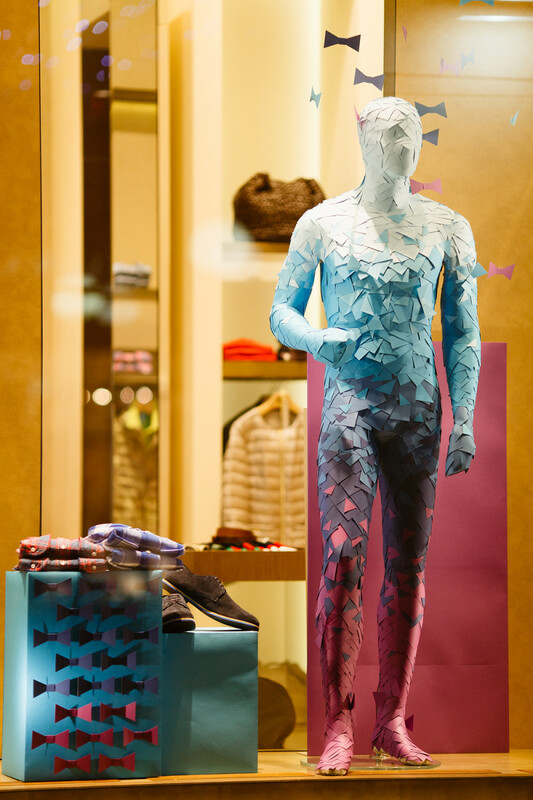 The men spring window displays has a bow tie as base element, here ARTLEVEL design studio were focusing on the structure and order based on geometry. 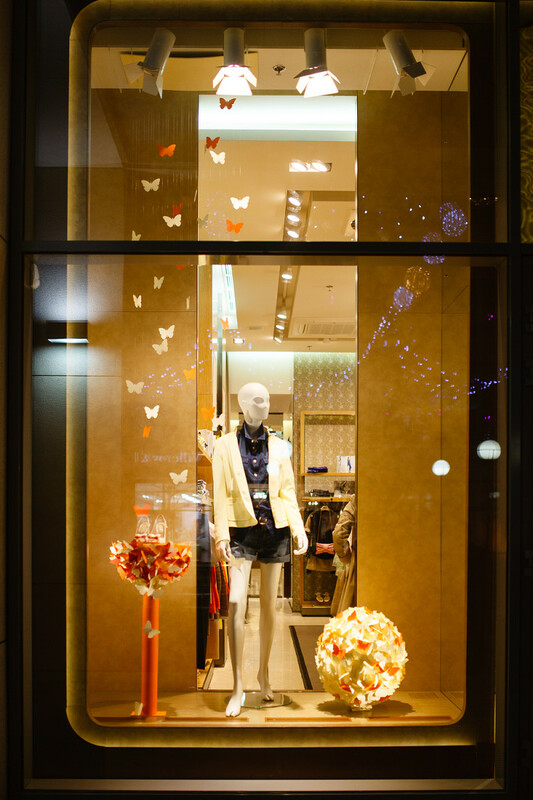 Эффектно, неординарно и искуссно! 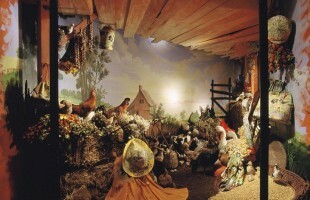 Молодцы, Artlevel!